Copyright © 2009 SVJ Designs, LLC. All Rights Reserved. 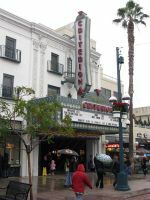 This movie theater is near Santa Monica, Venice, Playa del Rey, W Los Angeles, West Los Angeles, Los Angeles, Pacific Palisades, Marina del Rey, Marina dl Rey, Pacific Plsds, Veterans Admn.